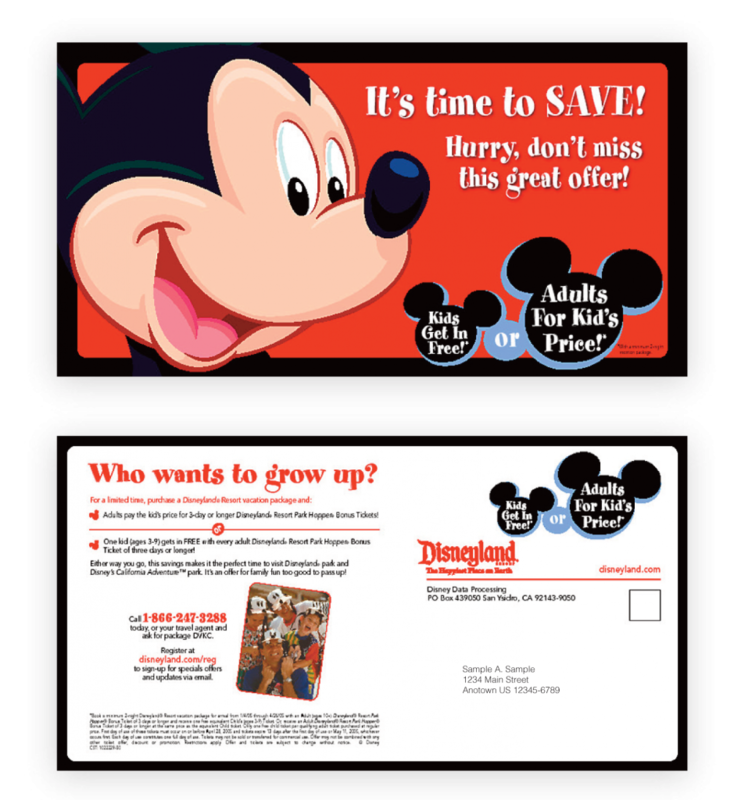 Walt Disney Resorts needed to reduce its direct mail marketing costs and increase current response rates and revenue. Our strategy was to develop, deploy and validate a segmentation model leveraging past campaign analytics and learnings to identify opportunities that would increase response and reduce costs to maximize ROI. The customized segmentation model increased response by 30%, reduced marketing cost by 23% and increased ROI by 40%. A start-up innovative Fintech Lending Company elected Creative Solutions as its direct mail agency based on our experience and effectiveness in the market sector. 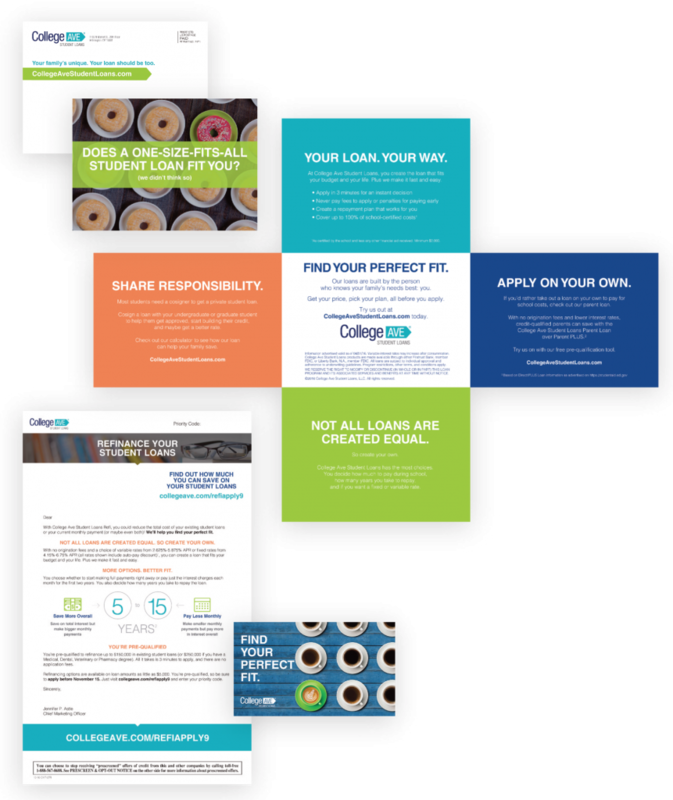 Our challenge was to help College Ave break into the student loan market, establish their brand and gain market share from the competition. We outlined a direct mail strategy including creative testing to both student and parent audiences, developed list strategies and produced millions of pieces of direct mail that continue to mail annually. As a result of our contributing work, College Ave has earned a reputation as one of the best providers for private student loans, securing more than $2 billion of committed loan purchasing power. Their $161 MM inaugural securitization received an ‘A’ rating from DBRS. They are ranked #1 by Consumer Advocate and #4 by SimpleTuition, a LendingTree company. 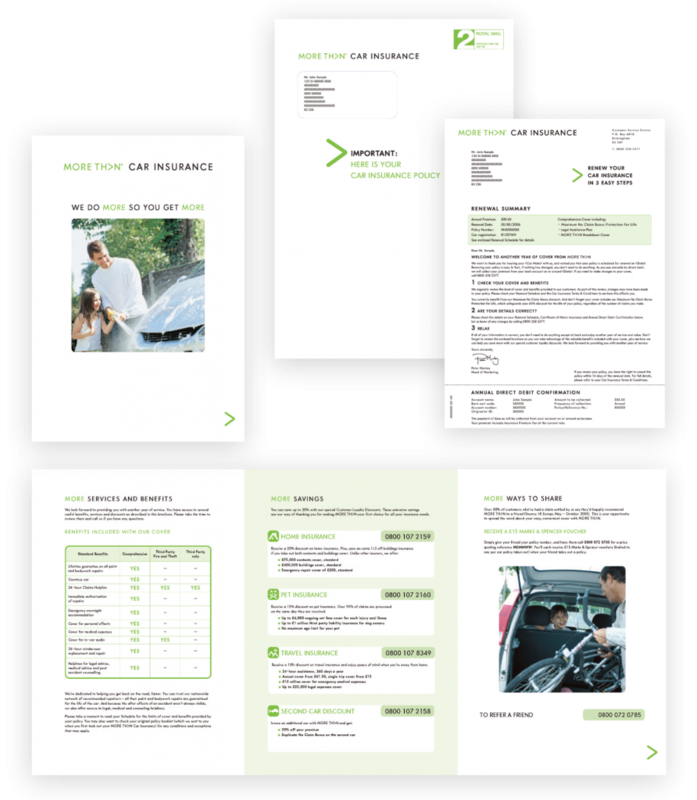 A leading insurance company in the U.K. was experiencing reduced renewal volumes within their motor insurance portfolio. They turned to Creative Solutions to develop a “challenger” creative package designed to increase renewal levels. Our four-step process assessed the current control strategy to define strengths and weaknesses; analyzed the target market; identified and assessed potential package profitability; and determined competitive strengths and weaknesses. The challenger package, consisting of an oversized envelope, letter, and brochure, was designed to increase response rates while maximizing cost efficiency. The challenger package outperformed the control by 115 basis points and dramatically lifted renewal levels. 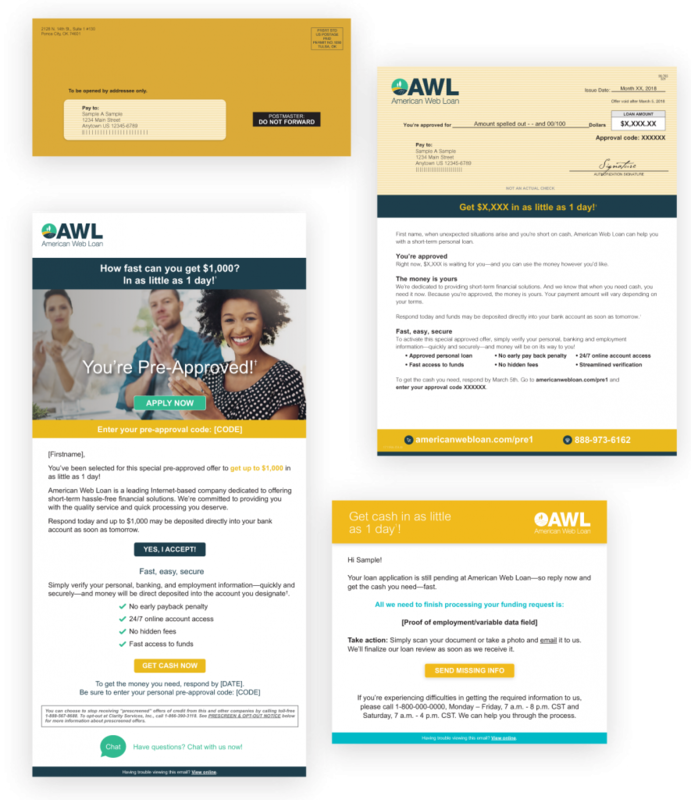 AWL is a leading sub-prime lender whose business was exclusively built through affiliate marketing and other digital channels. AWL’s reliance on an intermediated business model created a single channel dependency. AWL engaged Creative Solutions to de-risk the business by diversifying their acquisition channels, improving the credit quality of the portfolio and accelerating growth. We developed a comprehensive strategy to test and validate two new alternate channels, direct mail and email—including establishing and implementing the entire supply chain. We also developed a pre-approved credit list management and testing strategy in an effort to attract and originate a higher quality credit prospect. Direct mail response rates increased by 400% over previous direct mail campaigns and the cost per dollar booked was 60% less than affiliate channels. Losses were also 58% less than affiliate channels. Additionally, the accounts acquired via direct mail have a 20% higher re-borrow rate compared to affiliate generated accounts.